The American Stock Horse Association was founded in 2008. The group's mission is to "enhance the pleasure of owning and riding horses through creating better horses and horsemen, simply put: help people ride a better horse," according to their website, http://www.american stockhorse.org. This same philosophy has even been carried over into top equine programs in the country such as Dr. Clay Cavinder's Advanced Stock Horse Training class that he teaches at Texas A&M University in College Station. The recent birth of the Stock Horse and Ranch Horse competitions has attracted a lot of interest primarily from the "recreational" horse owner. The competitions are viewed as a fun, friendly and educational experience for horse and rider. According to Cavinder, "the big draw for the stock horse competitions is the fact that they host a one day clinic prior to the show, that's very attractive!" He also points out that "the shows are very educational and do not have the mass perception or stiffness of most shows." 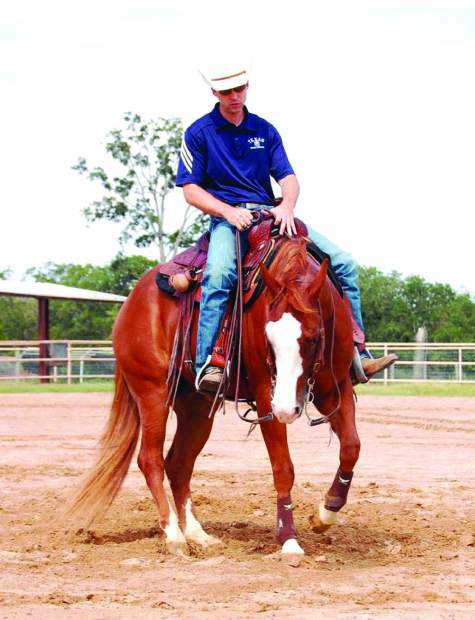 Stock horse competitions require the horse and rider to compete in four areas: pleasure, trail, reining and cow horse. There are different divisions at the shows based on the skill of the rider beginning with the novice division. The same is true for the collegiate division. 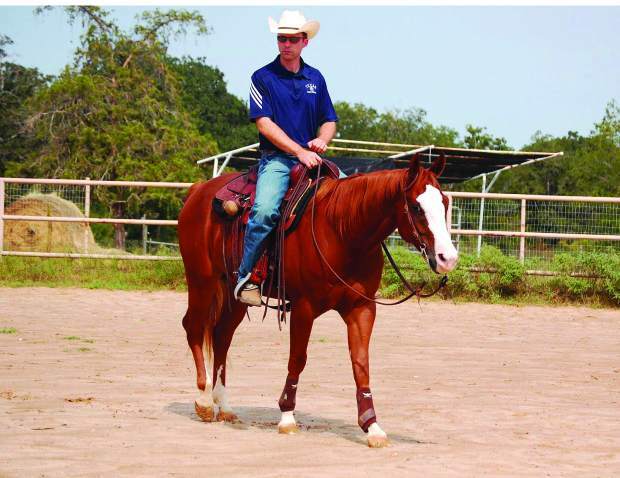 The A&M Stock Horse team has eight members and is coached by a colleague of Dr. Cavinder's, Dr. Dennis Sigler. Team members are allowed to use horses bred or donated to Texas A&M or their own horse if it's of the same or higher quality than the school-owned horses. Most of the shows offer a flat entry fee, which helps keep the costs down. Most collegiate members get to show at an even lower discounted rate. In general, the competitions even seem to attract a different type of horse. It's not the typical show, where a horse is selected or bred for just one class such as hunter under saddle or western pleasure. Instead the stock horse competitions require a horse that one could even assume is close to the original standards and functionality of the foundation American Quarter Horse or a horse that's used on working ranches today. Ranch or stock horses are generally used in working environments where they are expected to perform many tasks in a day from moving stock from one area to the next, to quietly opening gates, from maneuvering through brush, to providing a pleasurable ride, and on top of it all, to serve as a handy mount that can think on his own when a young calf is trying to outsmart him. For the first time in the history of the American Quarter Horse Associations' World Show a new class was held in 2012 called Ranch Horse Pleasure. The class is somewhat different than the well-renowned western pleasure, where the horse would traditionally travel around the arena performing all three gaits when asked (walk, jog, and lope) but in this class "the horse is asked to move out a little freer as well as perform maneuvers that he may need to do while working in the field," according to Cavinder. 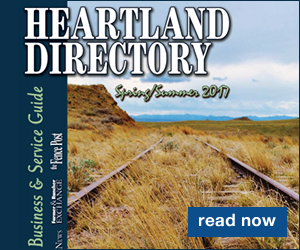 He added that, "The ranch and stock horse competitions and ranch pleasure classes are growing like wildfire across the country. Everywhere I judged last year the classes were big!" He also said, "People seem to be very excited about the additional class and competition because it's a different opportunity with horses moving forward with a purpose." 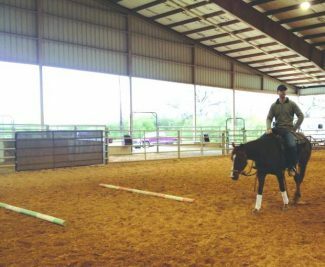 Dr. Cavinder developed an Advanced Stock Horse Class at Texas A&M, which has become quite popular. The course provides an opportunity for some of Cavinder's graduate students to teach by helping with the course. Students interested in trying out for the stock horse team must complete the Advanced Stock Horse Class. "The stock horse class allows the students to face a challenge with a horse, develop critical thinking skills by going from one event to the next," states Cavinder. He also said, "the class teaches the students more about developing unity with their horse by increasing their ability to perform more than just one class from cow horse to a different context and level of learning when practicing for trail or reining. I also require my students to present, with a microphone, on horseback, a 15 minute 'mini-clinic' as the final exam. I provide the topic and let them develop a plan." Most students just like new and old competitors are attracted to the stock horse shows because of the economical, practical side. The shows have provided an avenue for a different kind of horse, a horse that has to be able to both mentally and physically perform in four events. Cavinder states, "The horse and students are challenged to do so many different things, so the level of brokenness is elevated, to get a horse that can mentally handle all the events and then physically handle them too is a versatile horse and rider." When asked what type of horse Dr. Cavinder preferred he suggested that he liked a little "hotter" horse that was cow horse bred. He thinks the horses with more reining influence in their bloodlines better suite novice and amateur competitors because they are more "engaged in what the rider is asking where a hotter-cowier horse will have to think more on their own but it's a trade off for sure!" Dr. Cavinder said, "Pleasure (class) has always been a favorite with my background and maybe trail my least but I find trail to be the most challenging because I've done less of it. I'm learning more about cadence and how broke the horse has to be in order to perform the class," states Cavinder. He also admitted, "I'm putting my focus on the least comfortable classes like trail where cow horse is the most exciting and reining is challenging, too." Dr. Cavinder mentioned that he now rides and performs the classes while thinking like a judge, "where can I make the most points or how can I make up those penalties I just incurred." Dr. Cavinder is originally from Idabel, OK, where he grew up in the horse industry. Cavinder's father was a horse trainer and Clay started at an early age showing and training pleasure and halter horses, both Paints and Quarter Horses. As a teenager he competed in the tie-down roping event. Dr. Cavinder began his academic career judging for a junior college in Oklahoma and then competed on the judging team at Oklahoma State University where he received his BS degree. He continued his education with a Masters from Missouri State while he stepped into the role of coaching at Northeastern Oklahoma A&M Junior College. He then earned his PhD in Animal Science from Texas A&M University and continued on faculty upon graduation. Dr. Cavinder explained that while he was teaching and coaching horse judging teams at NEO his interest for reining grew and when he moved to Texas his interest in cow horses began to expand. Dr. Cavinder currently coaches the nationally renowned Texas A&M Collegiate Horse Judging Team, holds many breed association cards such as a card with the American Quarter Horse Association and trains at least one horse a year for Stock Horse Competitions. 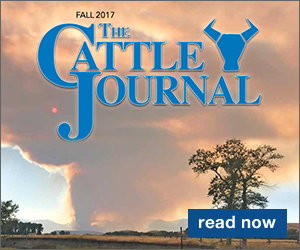 Dr. Cavinder believes strongly that the future of the Stock Horse Competitions and AQHA classes like Ranch Horse Pleasure will only continue to improve the industry by offering an outlet for a different kind of horse, horses used on working ranches as well as promote people getting involved! For more information about showing stock horses check out the American Stock Horse Association website at http://www.americanstockhorse.org.